At Petsecure we are passionate about responsible pet ownership which also means positive pet ownership – so that you both you and your pet can get the most out of life together. 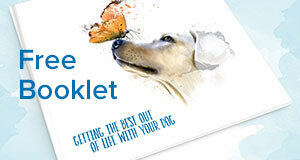 This handy booklet which gives heaps of useful information for new and long time pet owners alike – training tips, dangers around the home, check lists, emergency procedures, and check lists which are an excellent resource, and great info to share with the kids. Download your FREE booklet here.